It is with great honor that we, the Guimaraes family, are this year’s Annual Fund Chair Family. We would like to invite you all to reflect with us on a few important issues that are essential for our daughters’ education. Hawthorn is not perfect because no school is, and our school is no exception. 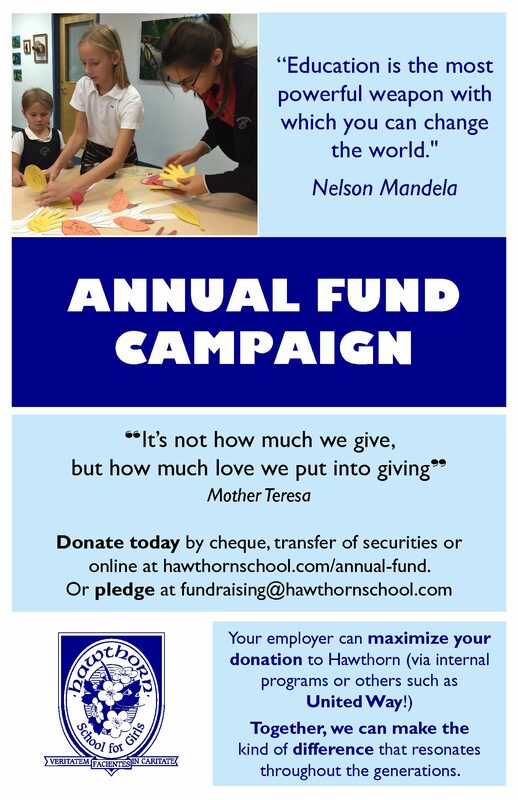 However, we believe, and hope that you agree, Hawthorn is the best girls’ school in Toronto. Hawthorn was founded by a group of parents that firmly believed that school should be an extension of their home in terms of values and principles. They envisioned a school that would provide their girls with a Catholic-inspired all-round formation, where truth, beauty, and virtue are taught and discovered in every subject across the curriculum. A formation that is not only strong academically but both human and spiritual, which would help them grow as a person. In summary, they sought to provide their daughters with an education that would prepare them to responsibly use their freedom throughout their lives in order to fulfill their mission in this world. school does all these things beautifully, like no other school in Toronto. That is why we believe Hawthorn is indeed the best school in the city. It takes a community to make it even better. Hawthorn is a wonderful school, but – as in every school – there is room for improvement. The good news is that most of the improvements that need to be made are material and, therefore, a relatively “easy-fix” that depends on us . Fortunately, the school remains faithful to its mission. We do not have to ask the teachers to be more professional, caring, and dedicated. We do not have to ask the school to be more family-centered. Hawthorn excels in all of these. However, the school needs to grow and develop in order to continue to provide our daughters with the best education possible. 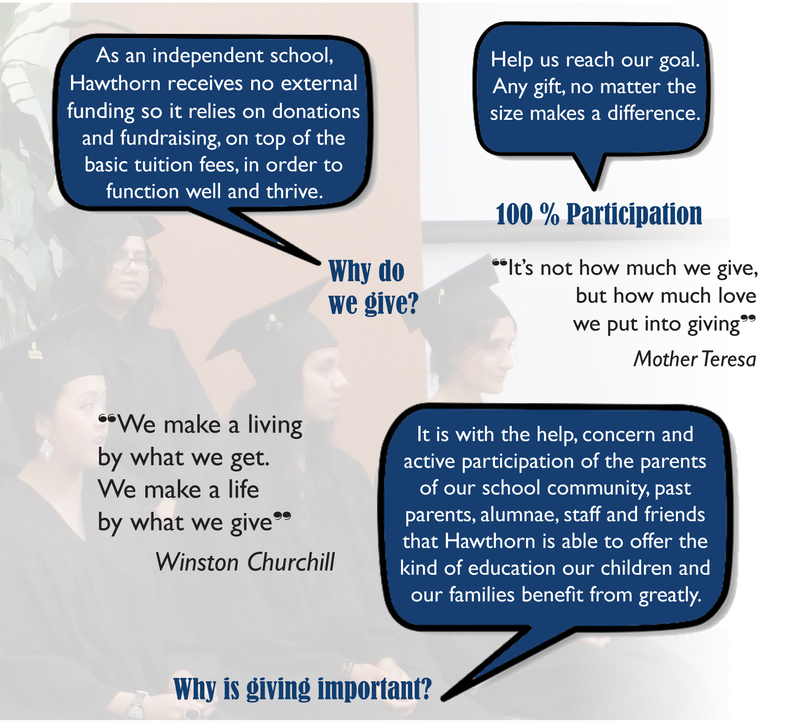 This is where we can help through our donation to the Annual Fund campaign. 100% participation, let’s do it! It’s up to all of us, now! 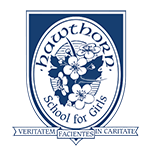 Hawthorn is our girls’ school, it’s our school. By design, it’s up to us: parents, alumni, staff, faculty, and friends, to commit to making Hawthorn even better. Let’s build on the achievements of previous years and make 2018 a big success. Let’s demonstrate how strong the Hawthorn community is. We can do it! Let’s just do it! Let’s donate today! Our girls count on us ALL. P.S. Together we can help Hawthorn grow and thrive. We invite you to make your tax-deductible contribution/pledge today by donating online or filling in the form below, any amount helps. Thank you for supporting our school! For donations online please click the link above. Download Annual Fund donation form and help through the Gift Card Program, click here to learn more. A charitable receipt will be issued for all donations.